Do not miss a rare opportunity to add several of the classics of syncretic music to your collection. 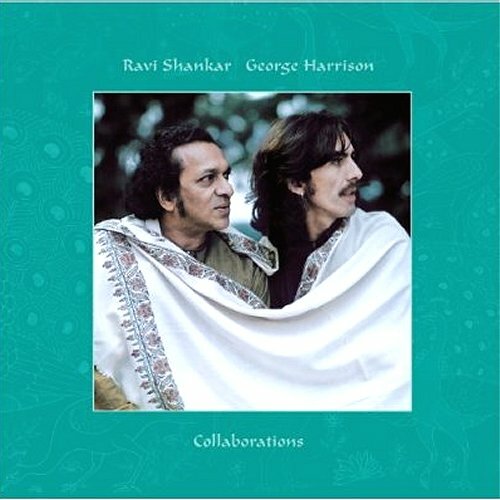 Collaborations is a 3 CD + 1 DVD set paying tribute to the musical partnership of Ravi Shankar and George Harrison. It opens with the 1967 Chants of India which has been out of the catalogue for five years and comes with a 64 page book containing original sleeve notes plus a foreword by Philip Glass. It appears Collaborations is a 10,000 unit limited edition exclusive to Amazon and is available from both the UK and US sites and also as an MP3 download. Interesting in the week that Jordi Savall's lavish Dinastia Borja 3 CD set wins a Grammy to see the physical CD fighting back and proving that there is more to the listening experience than a computer file.